NEW Invisible Shield, IP5HXC-F0W Apple iPhone 5 HDX Screen Protector. The InvisibleSHIELD Apple iPhone 5 HDX Screen Protector is ideal for keeping your device’s screen safe. 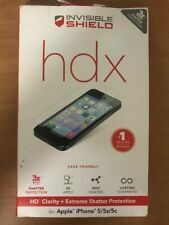 InvisibleSHIELD Apple iPhone 5 HDX Screen Protector. 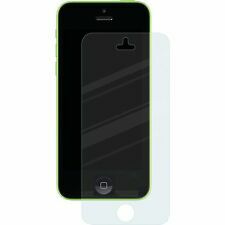 Otterbox 77-35274 Vibrant Screen Protector for iPhone 5/5C/5S/SE,100% Authentic. Up for sale is one Otterbox 77-35274 Vibrant Clearly series Screen Protector for iPhone 5/5C/5S/SE, 100% Authentic. Otterbox Vibrant Protected Screen Protector for iPhone 5/5C/5S/SE. Compatible with select OtterBox cases. 4 out of 5 stars - Otterbox 77-35274 Vibrant Screen Protector for iPhone 5/5C/5S/SE,100% Authentic. 4 product ratings4 product ratings - Otterbox 77-35274 Vibrant Screen Protector for iPhone 5/5C/5S/SE,100% Authentic. Up for sale is an Tech21 Impact Shield Self Heal Screen Protector for HTC One M9. ScreenGUARD Protective Screen Protector designed to be compatible with the Motorola Droid Ultra and Droid Maxx. - Compatible with Motorola Droid Ultra and Droid Maxx. - Ultra Clear. - Ultra thin. - Solid Protection. THESE ARE AUTHENTIC TECH21 PRODUCTS BOUGHT FROM LIQUIDATION SITES. Compatible with iPhone 5, 5S, 5C and SE! OtterBox CLEARLY PROTECTED VIBRANT SERIES Screen Protector for iPhone 5/5s/5c/SE. Great on its own and even better when combined with select OtterBox cases. Maximum clarity screen protector. It can resist straight light effectively and increase the contrast of the screen. The special material of the screen can protect your wireless device from scratch and fingerprint. MYBAT presents you the Twin Pack Screen Protector. Great quality screen protector films that protect your phone screen from scratches, dust and dirt. This package includes two screen protector films Plastic scraper is also included to reduce air bubble. Easy to apply. Decoro Anti Glare Screen Protector for HTC One M8. HTC One M8. Premium Anti-Glare Screen Protectors are made with a high quality material and are designed to protect your phone's display from fingerprints and scratches. ZAGG Invisible Shield Original Screen Protector for Motorola Moto X - FREE SHIP! 5 out of 5 stars - ZAGG Invisible Shield Original Screen Protector for Motorola Moto X - FREE SHIP! 1 product rating1 product ratings - ZAGG Invisible Shield Original Screen Protector for Motorola Moto X - FREE SHIP! Great quality screen protector films that protect your phone screen from scratches, dust and dirt. This package includes one screen protector film. Plastic scraper is also included to reduce air bubble. Easy to apply. It can resist straight lignt effectively and increase the contrast of the screen. The special material of the screen can protect your wireless device from scratch and fingerprint. Great quality screen protector films that protect your phone screen from scratches, dust and dirt. This package includes two screen protector films. Plastic scraper is also included to reduce air bubble. Easy to apply. Check-Out Now! Check-Out Later?. Software that has been opened will NOT be accepted. Master Card. This tempered glass screen protector for is a must-have for anyone prone to constantly dropping their phone. The screen protector is designed to prevent scratches and absorb shocks. The screen protector may feel like plastic to touch but rest assured it is 100% class, this is due to the thinness of the screen and the special coating on it. Display Protection Foil Clear Protective Film for Phone HTC One Mini M4. Screen protectors for HTC One mini M4. Ordered until 15: 00 and paid-. State: New. EAN: 4251090545421. 3 x HTC One x 9 Armor Protection Glass Safety Heavy Duty Foil Real 9h. By the laminated glass shocks, sharp objects, falls and scratches are absorbed. A special silicone layer on the film allows for bubble-free adhesion of the film. 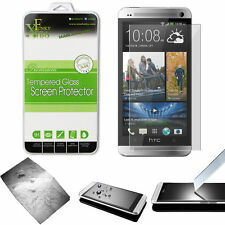 5 x HTC One E8 Screen Protector 9h Laminated Glass Armor Protection Glass Glass. The display of the HTC one E8 remains razor sharp and clear. By the laminated glass shocks, sharp objects, falls and scratches are absorbed. 5 x HTC One A9 Screen Protector 9h Laminated Glass Armor Protection Glass. The display of the HTC one A9 remains razor sharp and clear. By the laminated glass shocks, sharp objects, falls and scratches are absorbed. 10 x HTC One E8 Screen Protector Glass Laminated Armor. The display of the HTC one E8 remains razor sharp and clear. By the laminated glass shocks, sharp objects, falls and scratches are absorbed. 20 x HTC One E8 Armor Protection Glass Safety Heavy Duty Foil Real 9h. The display of the HTC one E8 remains razor sharp and clear. Reduced surface hardness of the tank protection glass the risk of cracks and scratches on the display by the 9 H.
10 x HTC One A9 Screen Protector 9h Laminated Glass Armor Protection Glass. The display of the HTC one A9 remains razor sharp and clear. By the laminated glass shocks, sharp objects, falls and scratches are absorbed. WE DESCRIBE WHAT WE KNOW ABOUT THE PRODUCT AND YOU BUY UPON SPECULATION AT YOUR OWN RISK, PERIOD. Again we refer you to the manufacturers' warranty.